Nicole - Premier Quality Renovations Inc.
After obtaining many quotes on turning my basement into a rental suite I went with Premier Quality Renovations. I felt Peter’s expertise and professionalism far outweighed the other quotes I received. His team was courteous, trustworthy and very clean throughout the entire project. My basement posed many problems with bad plumbing, unlevelled floors and numerous leaks. I was thankful to have an expert that could offer suggestions as to how to fix the problems and provide the right subcontractors. The quality and craftsmanship was excellent and it was a pleasure to work with the entire team! 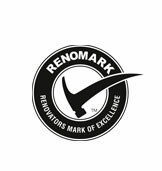 I have already and will continue to recommend Premier Quality Renovations for any renovation project you may need.